Campaigners who battled to stop a Sainsbury&apos;s convenience store ruining their historic shopping area are celebrating after winning the support of a government planning inspector. 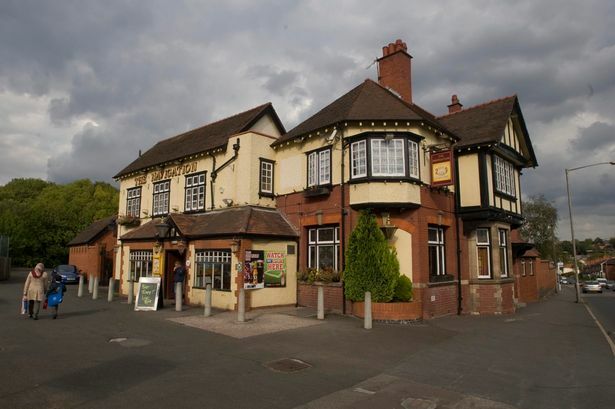 Sainsbury&apos;s wanted to build a convenience store on the car park next to The Navigation pub at Kings Norton&apos;s historic green. Inspector Martin Whitehead said: "I have found that the proposal would have an adverse effect on the character and appearance of the surrounding area and would harm the safety of private car users and pedestrians." Safety fears centred on the ability of delivery lorries to turn on the reduced car park without causing a hazard. Mr Whitehead added it "would not respect the character and appearance of the important Kings Norton Conservation Area". It is the second time a store has been thwarted in its attempt to develop the site. Four years ago, Co-op&apos;s plan to demolish the pub and build a store was blocked. Sainsbury&apos;s and the Spirit Pub Company lodged the planning appeal last autumn after the city council&apos;s planning committee rejected their development. This latest decision was welcomed by councillor Peter Griffiths (Lab Kings Norton), a member of the planning committee. He said: "The rejection of the appeal is great news for local people. I am proud we have been able to back Kings Norton and we have had the backing of the city council as a whole in doing so." Labour election candidate Richard Burden added: "This shows what can be achieved when our community acts together. "The task is now to build the sustainable future Kings Norton Green deserves, tackling the traffic and other problems that were rightly key issues in this appeal being rejected." Sainsbury&apos;s development surveyor Andrew Manger said "We have been working with Spirit Pub Company, and their developers PH Land and Developments, who applied for planning permission for the new store next to the Navigation Inn. "We are very disappointed by the planning inspector&apos;s decision as Sainsbury&apos;s had hoped to lease the completed premises, offering high quality top-up shopping to the local community and creating up to 25 new jobs. "We are now considering our options regarding this site."